Composite doors are the perfect choice for any Slough front door thanks to their incredible all round performance and superior style. Affordable Windows and Construction offer an extensive range of attractive, high performance composite front doors, designed to complement the existing aesthetics of your Slough home. These simply stunning residential doors provide outstanding security and thermal performance, making them an incredibly sought after option in Slough. 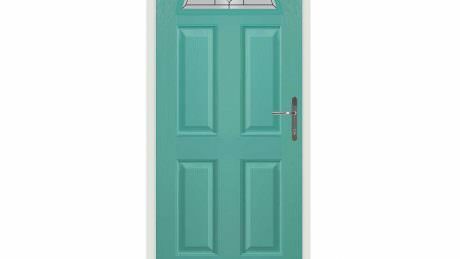 With Affordable, you even get a range of composite doors to choose from for your Slough home. Each one offers slightly different features for your home and our composite doors will suit any budget, making composite doors from Affordable, affordable! 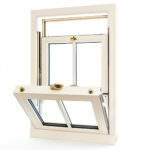 Affordable Windows and Construction work closely with some of the most respected composite door manufacturers in the UK. Enabling us to offer our customers the most competitive prices for truly outstanding products. Offering increased security and thermal protection tor your Slough home. Read our overviews below to find out more about our spectacular composite doors and what they could do for your Slough home. Our composite door range from Door Stop enables you to access a superb range of designs to complement your Slough property. Each one is constructed using the standard solid core with a robust glass reinforced plastic overlay to create a strong and durable residential door. 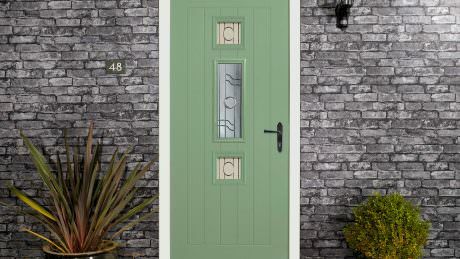 These exceptional composite doors are also highly energy efficient. 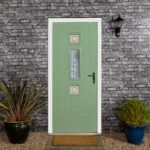 They are one of the most eco-friendly composite doors available, maximising the thermal performance of your home. As with all composite doors, Door Stop doors have a beautiful and authentic timber appearance which adds style and character to your home while still offering all the benefits of uPVC technology and low maintenance durability. Looking for ultimate performance, then the Solidor composite door is the one for you. 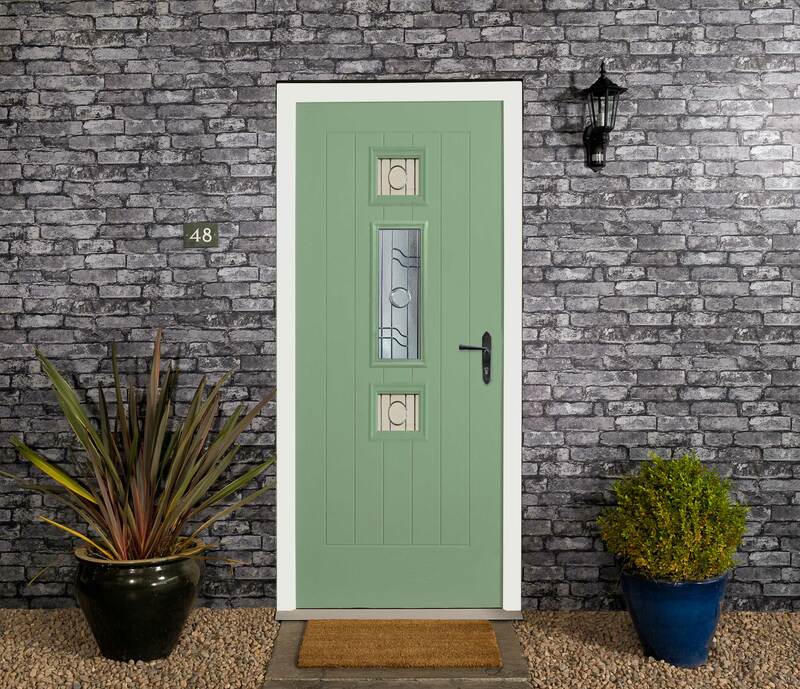 The unique 48mm core is unrivalled and ensures that these stunning doors offer the most impressive strength and thermal performance. In style, there are so many choices with the Solidor composite door. 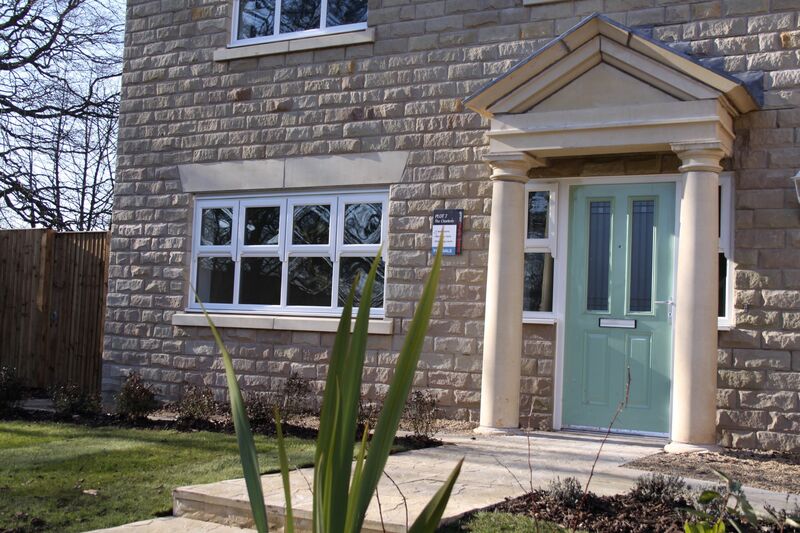 Solidor offer a wide range of door designs, all of which come in an exclusive range of 20 colours and the frames can be chamfered or sculptured. Whether you prefer modern Italian designs or classical Edwardian looks, the Solidor composite door range can meet your needs. Solidor composite doors are proud to be made in Britain, limiting their impact on the environment and ensuring they can be involved in supporting their local community. With these composite doors, you will benefit from superior design and quality as these doors have been truly crafted to meet the needs of the British homeowner, perfect for your Slough property. 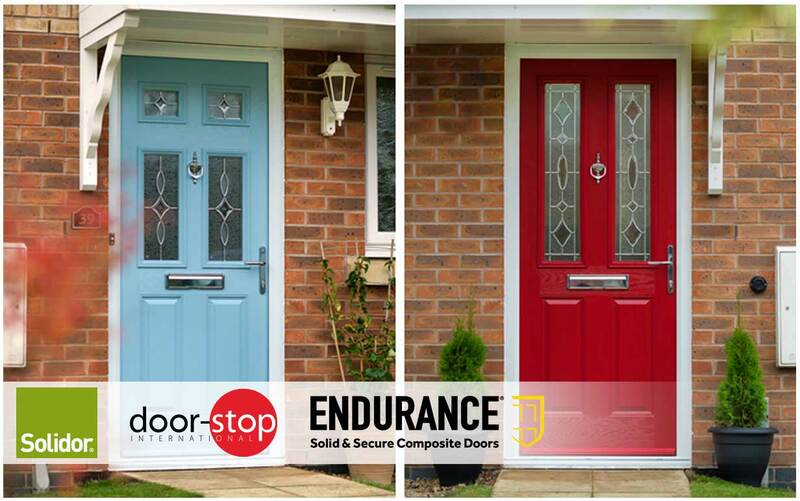 Our Endurance composite doors are one of the most solid options available. The solid timber core is sledgehammer proof, making them virtually impossible to break. They offer superb security for Slough homes, keeping your family and property thoroughly protected. These fantastic composite doors come in three collections, the classical collection, urban collection and country collection, enabling you to find the perfect match for your Slough home. Each composite door has a beautiful authentic timber appearance, yet provides all the benefits of modern uPVC innovations. They are incredibly thermally efficient thanks to the superb insulating properties that protect your home from the cold and the rain. In fact, these composite doors will protect you from any weather in Slough at all. On top of all of this, Endurance composite doors are superbly secure and you can even opt for an upgrade. 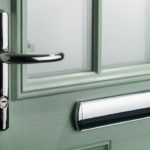 Endurance composite doors are a cost-effective front door for your Slough home and will enhance its character and style. 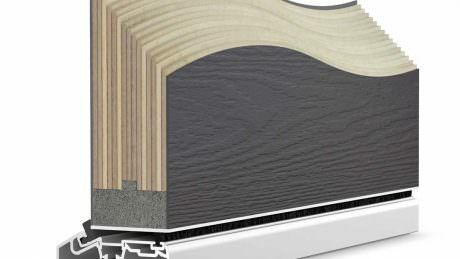 Nothing matches the incredible beauty and style of the Residence 9 range of composite doors. These stunning front doors are a truly crafted residential door design that offers premium performance and finish. They have a 9-chambered profile which maximises their thermal performance, making them one of the most energy efficient composite doors available. The multi-chambered profile acts as a thermal barrier which is enhanced by the insulating properties of the composite door design. You will benefit from a much warmer home which will keep the cold outside where it belongs. 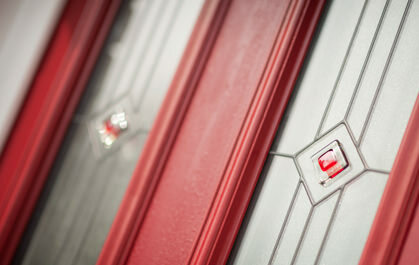 Residence 9 composite doors also have a unique high-security design, including the most impressive locking systems. These exceptional double glazed doors are incredible when it comes to home protection. 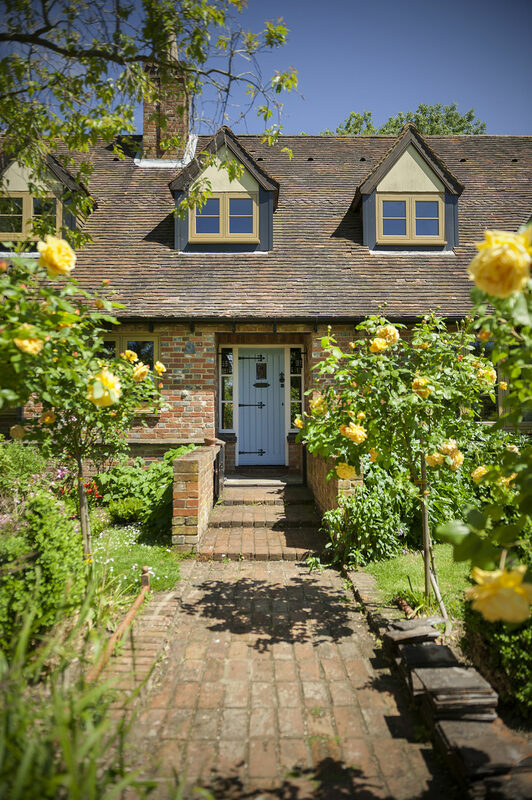 Residence 9 composite doors are the most authentic option for your home, perfect for heritage properties. 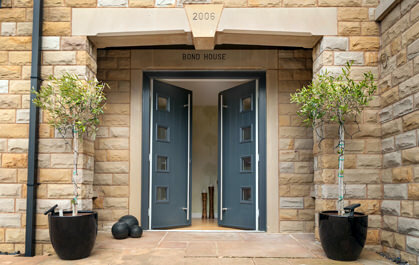 They are a high quality, luxury and premium front door that will enhance your property in style and performance. You can find out more about any of our composite doors from our fantastic team. They will be able to give you expert advice and guidance on all our composite doors, helping you to choose the right option for your Slough home. We also provide an online door designer, where you can create your perfect composite door and see just how much it will cost for your Slough home. Try it now!